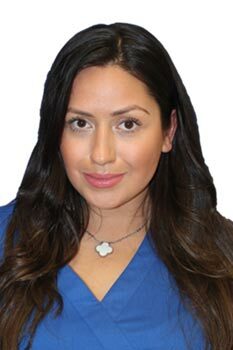 After several years of being Dr. Gladstein’s medical assistant, Alina has gained in depth knowledge and intricate understanding of all injectable enhancements as @theenhancers. She is currently enrolled in a nursing program expanding her knowledge of the medical field to become a nurse. Her knowledge of the field and love of helping people drive her to always be at your assistance, providing you with comfort and peace of mind. At @theenhancers, Alina enjoys the opportunity to help patients feel beautiful, pampered, and empowered with the knowledge to make educated decisions. Outside of her work and studies, Alina is a huge fan of the arts, regularly attending art galleries, exhibitions, shows, and museums, while working on her photography skills. Stephanie – began studying business administrations in college, but her passion for English literature, poetry, and visual arts have always been a bigger part of her. Stephanie enjoys to draw, paint, and sketch, and attends art shows around NYC every chance she gets. IN school, she proudly represented the “Art Talent” and participated in competitions where her artwork has won on several occasions, As a Medical Assistant and Laser Technician ad @theenhancers, Stephanie is right in her element, as she appreciates the beauty and art of aesthetics. 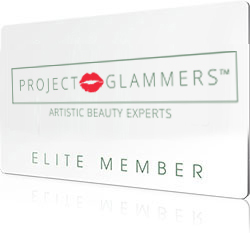 Anna is our amazingly knowledgeable, warm and patient-care oriented cosmetic consultant with keen eye for beauty. While her formal education has been focused on Business and she holds a Bachelors degree in Business and Media Communications with a minor in Marketing, she has always been passionate about aesthetics. Her dedication to it eventually led her into in the field 8 years and she absolutely loves it!!! Anna is truly focused on guiding her patients through the world of aesthetic enhancements and making them feel comfortable and at ease every step of the the way. She says “I feel like everyone regardless of age, gender, culture or socio-economic status should be able to look and feel better about themselves. Whether it’s a small adjustment here and there or a full transformation, it’s always great to see happy patients!” Aside from her love for aesthetic education, Anna enjoys fashion, fitness, art and photography. Linda is our patient coordinator whose welcoming personality and positive outlook is guaranteed to brighten your day!!! Linda comes to us with many years of experience in beauty industry and aesthetic customer service. Linda’s unparalleled ability to greet you with a warm smile, genuine concern for your satisfaction and her ability to put you at easy and make you feel right at home are what makes her an integral part of our team. She is always happy to assist you both on the phone and in person and is guaranteed to go out of her way to create the most pleasant aesthetic experience EVER. Kayla’s passion for skin care started at a young age, while working on her own skin insecurities. She is dedicated to helping others to feel more confident and beautiful. She obtained a B.S. in Biology from Penn State University and went on to earn a Certified Nurses Assistant License from Allegheny College of Maryland before finally receiving her aesthetics license at Christine Valmy International School for Esthetics here in NYC. With a strong background in science, Kayla enjoys learning and educating clients about the way products can improve the health and beauty of their skin. Her keen eye for details, consistency, and compassion for others makes her a PERFECT fit as a leading aesthetician in our Gramercy Park location. Elena’s love for art, art school background and her keen eye for beauty have guided her into medical aesthetics several years ago where she fell in love with skin care. She has subsequently completed her training and got licensed in medical cosmetology and is a leading aesthetician at our Brooklyn location. 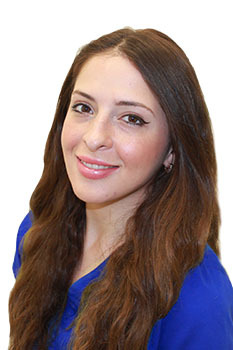 Elena says “My goal is to bring a genuine smile to each and every patient I take care of”. Though Elena has bern practicing for several years, she never stops learning and continues to improve her skills and knowledge daily. She loves to learn new innovative technologies and loves to stay on top of cutting edge developments and procedures. Elena’s passion for skin care and her positive warm demeanor with unwavering focus on customer service is what makes her our star.